Howard County’s OWD connects businesses and potential employees at all professions and levels. 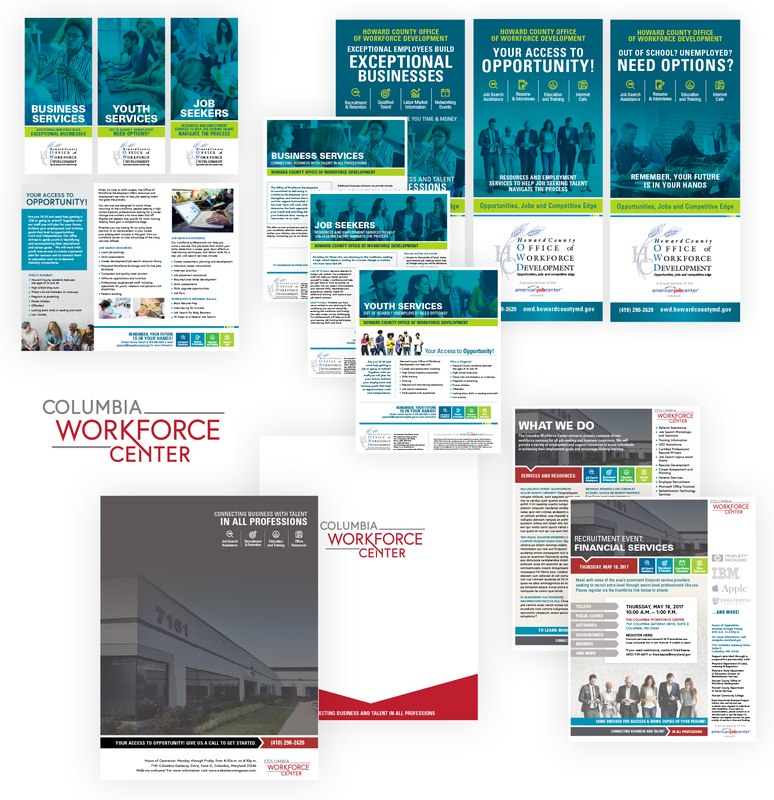 The Columbia Workforce Center provides office resources and services that help make that happen. Doyle Communications provided co-branding, copy writing and graphic design services that provided distinct, but coordinated branding between the two entities that is inclusive and sustainable. Products included logos, fliers, brochures, pop-up displays, signage, and digital displays. Media: Brochures, Fliers, Displays, Signage, DOOH, and Logo Design. Services: Design, writing and creative media development.